I have been working on this idea for quite sometimes now. 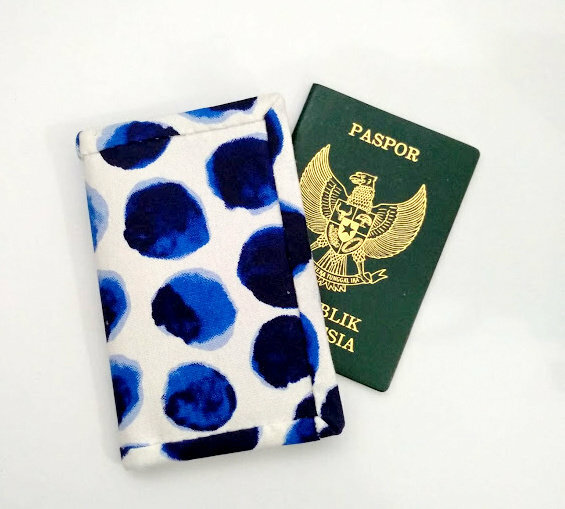 I wanted a compact passport cover (a better version of the previous one), which can be slipped into a sling bag while traveling. This passport sleeve is pretty slim. It fit in to my sling bag nicely. I don't use too many layers of interfacing here. A layer of heavyweight interfacing for the main wallet exterior only. The vertical card slots are very handy to keep your ID card and frequent flyer membership card. As you know, I love using binding for my wallet, because I love the handmade look of it. Besides, we can play with fun binding to make it one of a kind product. It took me a while to decide what closure I want. I knew I wanted something that is easy to install and if possible easy to mend. Then I remembered the magnetic closure I used in this Ella Bucket Bag and 241 tote bag, and decided to use the same method. It works out perfectly. Yay!! This a pretty quick project. It took me a little more than 1 hour to finish one. I could finish it faster, if I don't watch my Korean Drama while sewing :) . 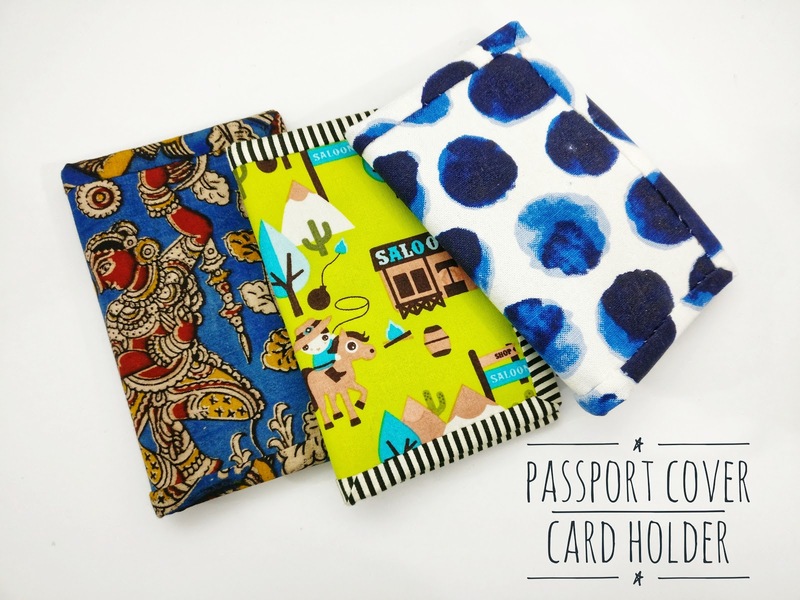 All the new passport covers are now available in ETSY as well as in my WEBSHOP.